Want to feel great? Have lots of energy? A sharp mind? 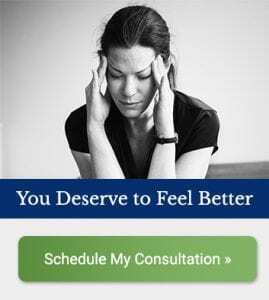 Be pain free? Then, it’s time for “clean living!” Clean up your life and get rid of the toxins bringing you down. In this class, you’ll learn about the effect of toxic food, personal care products, household cleaning products and stress on your health. Each week, you’ll leave class with tips you can use to start living a cleaner, healthier life. By the end of our four weeks together, you’ll have a plan for success that will carry you throughout 2017. You’re going to end 2017 happier, healthier, and more energized than you started. Start your new year right and attend these live classes where you will have the opportunity to ask questions. The first class begins January 10th with the subsequent classes meeting the next 3Tuesdays. All classes are one hour in length. That’s 4 ours of live classroom time, a $400 value–for only $47. Please note, there will be some information emailed to you prior to each class so you are ready to take full advantage of the information presented. Can’t attend live? While we highly encourage live attendance, the classes will be recorded for you to listen to at your convenience–whether for the first time or to hear the valuable information again! Registration here for the class. If you have questions, give us a quick call or text to get your questions answered. Don’t miss out on this exciting 4 week class! It won’t be offered at this price again, guaranteed! Once you’ve registered for the class, you’ll receive a welcome email with further details.